Perfect smile is a dream of every selfie taker. The RetouchMe teeth whitening photo editor is designed to give you an instant virtual teeth makeover. 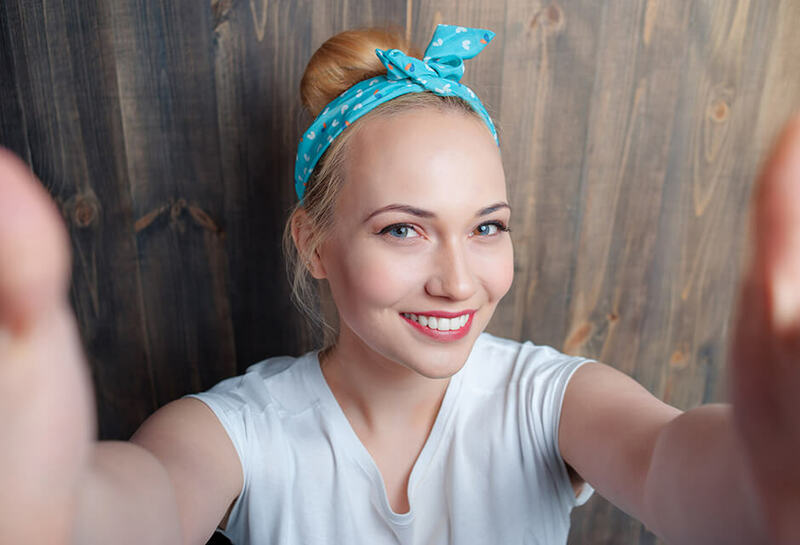 There is no doubt that achieving smile perfection by the RetouchMe app to make your teeth white is much cheaper, faster and safer than whitening teeth in the dentist’s office. With this amazing app you can easily whiten your teeth clearing away all stains and yellowness because all you need to do is to install the application on your mobile device whether it is an Android or iOS based smartphone. The app is downloaded totally for free though the price for editing one picture is $0,99. For this price, it is possible to choose not only one but up to 4 filters. It can be assumed that this price is totally justified as you get teeth whitening online performed by professional designers that are modifying your photo on the base of the features you choose yourself. Besides the teeth whitening this application offers a lot of other face and body retouching features. RetouchMe app to edit teeth in photos offers you to get a Hollywood smile in less than 5 minutes. Rather than use filters, why not to adhere to the highest photo editing standards and entrust to the RetouchMe professional designers to let your smile shine?